Amari Cooper looks to be on his way to becoming the top wide receiver of the National Football League in the coming years as he has already broken and set a number of long-standing records as a part of the Oakland Raiders franchise. His success is eveident in the luxurious kind of life he lives and the good things he has spent on recently. Read on to find out more about the 2015 Professional Football Writers Association All-Rookie Team member. Amari Cooper was born on the 17th of June, 1994, in Miami, Florida. Not much is known about his early life until he entered high school where his athletic abilities made local headlines. He attended Miami Northwestern Senior High School where he starred for the football, basketball, and track & field teams. However, it was with football that Cooper was a standout as he recorded 16 catches for 175 yards with four scores in an injury-riddled junior high school year. As a senior, Cooper caught 33 receptions for 722 yards and 6 touchdowns to earn first-team FHSAA 8A All-State honors and the number 4 position on The Orlando Sentinel’s Florida Top 100 list. Upon graduating high school, Cooper had the option of choosing between a number of high profile college football programs that included Ohio State, Florida State, and Miami but he chose to play for Nick Saban and the Crimson Tide of the University of Alabama. In his freshman year, Amari Cooper broke Alabama’s 62-year-old record by scoring 11 touchdowns that came with 59 receptions for 1,000 receiving yards. This earned him a selection to the SEC All-Freshman team as he also received consensus Freshman All-American honors. In his sophomore year, Cooper managed 45 receptions for 736 yards and 4 touchdowns. He led his team in receiving yards that year despite missing two games due to injury. By his junior year in 2014, Cooper blossomed into a prolific player as he set a number of Alabama records, most notably becoming the all-time leader in receptions (229), receiving yards (3,463), and receiving touchdowns (31). His stats for the season were 124 receptions for 1,727 yards and 16 touchdowns, which earned him a third-place finish on the Heisman Trophy voting list as he won the Biletnikoff Award and was named a unanimous All-American. 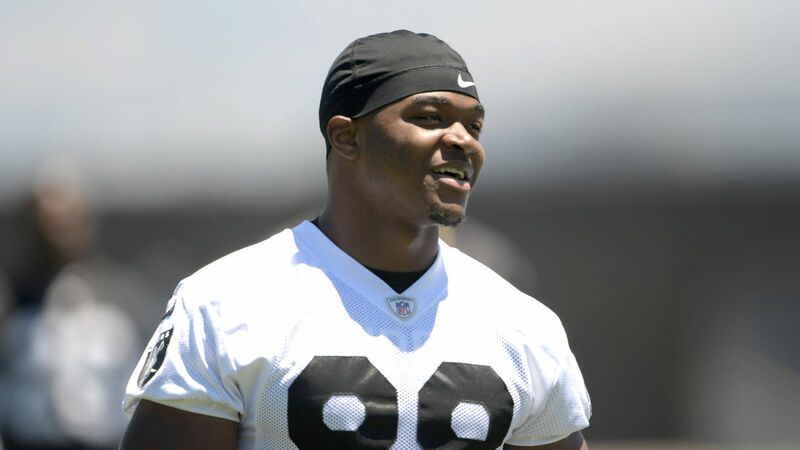 Following his record-breaking junior college year, Amari Cooper announced he was forgoing his senior college season to enter the 2015 NFL Draft where he was selected by the Oakland Raiders with the fourth overall pick. Before even catching a ball as a profession, Amari Cooper had created a buzz around himself. He backed up his claim of being built for the big leagues by setting a franchise rookie record of 8 receptions for 134 yards in a week 3 game against the Cleveland Browns. He further became the first Raider rookie in the history of the franchise to record over 1,000 receiving yards and the first wide receiver to do so for the team since Randy Moss did so in 2005. By the end of the season, he recorded 72 receptions for 1,070 receiving yards and 6 touchdowns. In his second season, Cooper kept up his performances to earn a second straight Pro Bowl appearance on the back of 83 receptions for 1,153 yards and 5 touchdowns for the season. For the 2017 season, despite Cooper suffering an ankle problem that hampered his play for more than half of the season, he scored a career-high 7 touchdowns but managed career-lows in receptions (48) and receiving yards (680). Amari Cooper is just in his fourth NFL year so it is quite early to make an estimate to what his net worth is. However, despite not being able to come up with a figure, we can tell from the buzz he is getting through his outstanding performances as well as his recent contract extension with the Oakland Raiders, that Cooper is well on his way to rubbing shoulders with a few vets in regards to making bank. The former University of Alabama player signed a 4 year $22.66 million contract when he was drafted in 2015. By April 2018, his team saw fit to extend his stay with the side by offering him a new 1 year $14 million deal which will probably rank him amongst the highest earners on the roster for the 2019 season. Cooper is, however, not waiting around for that money to kick in before he shows love to the people that care for him as he recently splurged on a Range Rover SUV and a house for his mother. NFL wide receivers, like Amari Cooper, are usually the fastest players in a team and on the field. In addition to other physiological characteristics, the right combination of height and weight also plays a major role in availing a player with speed. Cooper’s height is listed at 6 feet 1 inches or 1.85 m while he is said to weigh 211 pounds or 96 kg.